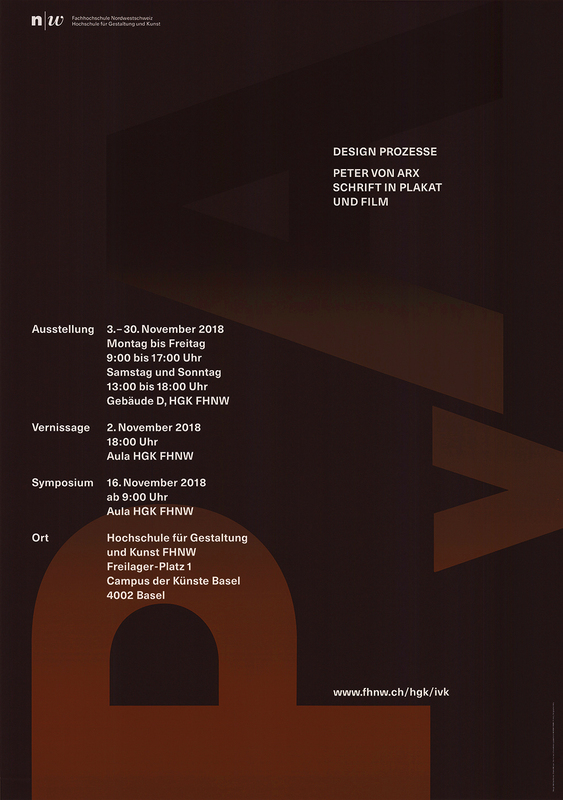 An Exhibition with the Title "Peter von Arx, Typedesign in Poster and Film" at the HGK FHNW the Basel School of Design. Design in collaboration with Shane McLean and Thomas Ferraro. Renner experienced the digital revolution first-hand working for Apple and TUB in California 1986, after completing his diploma at the Basel School of Design. The reflection upon the meaning of images in the context of digital tools became the central theme of Renner’s design activities. Since 1990, he has had his own design studio. He started teaching in 1990 in the Visual Communication Institute, The Basel School of Design HGK FHNW. In 1999 he was named chairman of the institute and received the professor-title. 2005 – 2014 he was member of the Swiss NCCR in Iconic Research and he is responsible for several research projects funded by the Swiss Science Foundation. His approach to develop research activities in the field of design is based on the aim to further develop existing competencies of image creation. With this approach of gaining knowledge through the creation of images the design process becomes the central research topic and a methodology at the same time.